Teens are so creative! And either they are scared to explore their creativity (for fear of judgement from peers) or they don't have a creative outlet that allows for that release. JesterZ teen classes encourage and harness this creativity and help them show it in a positive way. 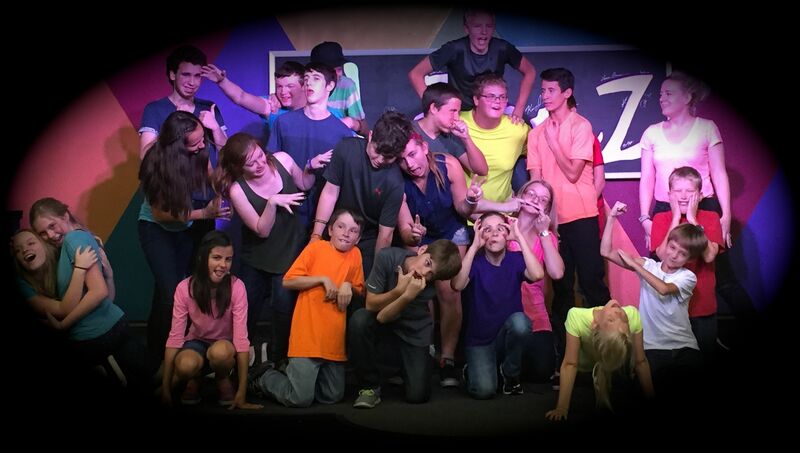 Improv is a way to help them get validated for their creativity while teaching them life lessons along the way. Improv is not just about being funny, but it's also about listening and using teamwork to create the best possible outcome. Improv is a skill that everyone should learn, as it can be instrumental in development in life, especially at a young age. If your kids are shy or have problems showing their creativity, this class is for them. If you kid is outgoing and love being the center of attention, this class is for them. If you kid is anywhere in between, this class is for them. Improv can be applied to everyday life. Focus, Listening, Staying Positive are just a few of the core fundamentals of improv. Sign them up today!! The course is a weekly class with a monthly show!! PERFORMANCE: Last Tuesday of each month is a FREE performance 6:00-7:00 (we still have regular class at 4:30).